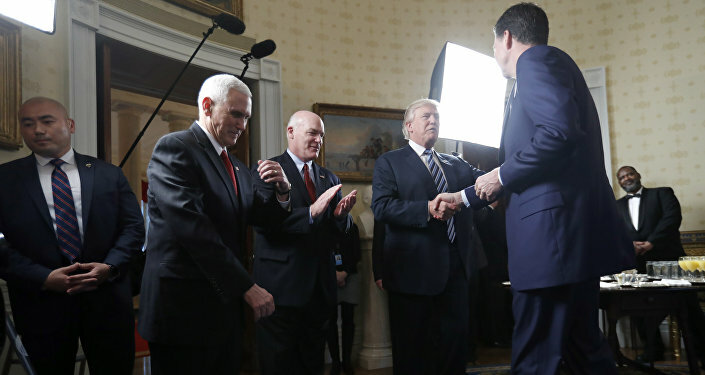 Trump, FBI, CIA: Who's Running the Show After FBI Director's Dismissal? On today's episode of Loud & Clear, Brian Becker is joined by former CIA analyst and political activist Ray McGovern. The warfare among different factions of the political establishment in the aftermath of the dismissal of FBI director James Comey continues, as acting director Andrew McCabe took Comey's seat at a Senate Intelligence hearing on Russia. The final debate in Iran's presidential election campaign will take place today. President Hassan Rouhani has come out swinging in recent days as he hopes for re-election next week. What's at stake in this landmark election for the country, the region and the world? Brian is joined by Massoud Shadjareh, the co-founder of the Islamic Human Rights Commission. The Arctic Council has been holding its summit in Alaska in which Rex Tillerson was present along with Russian foreign minister Lavrov. As the climate changes, is the Arctic a new site of geopolitical tension? Greg Mello, co-founder of the Los Alamos Study Group, joins the show. We'd love to get your feedback at radio@sputniknews.com.